I have created my token "BBY" that is ERC20 complaint, right now I've sent all the tokens to the owner's address. I will be giving out tokens when some one sends ether. I have deployed it to Ropsten and I'm intended to deploy it to Main Net then, I'm intending to sell it to exchanges as well. So I'm looking for the steps to do that, following some tutorials I came to know that, I first have to get all my tokens from token contract to my wallet , How can I do that? As in meta mask I can't see the tokens tab. The screen shot is attached. Can someone help me understand what is the way to get the tokens from contract to the wallet and then sell it to exchanges lets say: etherdelta. 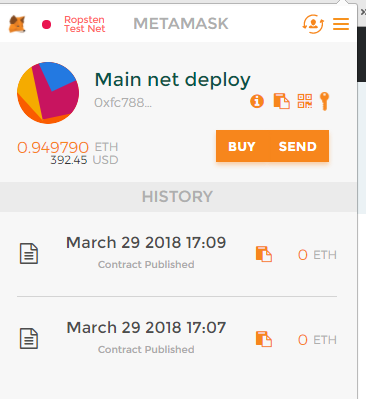 The metamask UI in your screenshot seems to be, a bit different. Try reinstalling. It has several issues like that. Normally, there is a Token tab, under which 'ADD TOKEN' option resides. 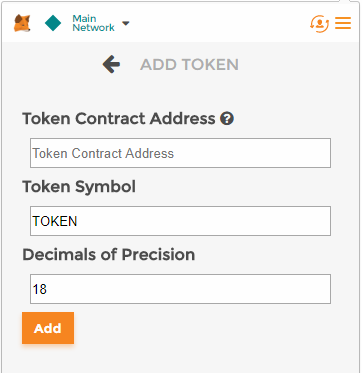 On clicking ADD TOKEN button, the following box appears, where you can enter the contract address. The token symbol and decimals of precision are automatically fetched. 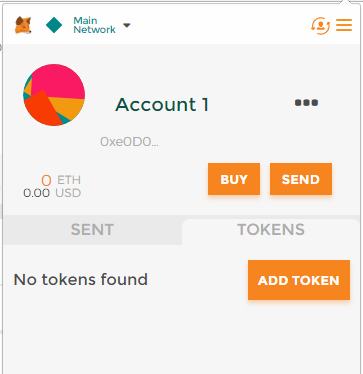 Once you added the token, the balance tokens in your account is displayed. [Correction: Metamask doesn't allow to transfer tokens]. You can also modify your contract to send the token automatically, whenever someone send a specific amount of ether to this contract address. Any Ethereum-based token can be imported as a custom token and start trading on EtherDelta, without permission. c. Paragraph description of the token. Not the answer you're looking for? Browse other questions tagged tokens contract-deployment metamask exchanges etherdelta or ask your own question. Is it possible to reissue the same token symbol after ICO?